It is our opinion that the engine will need repairing or replacing prior to use. The bodywork is in good condition all round with the exception of a few minor scuffs and blemishes the worst of which are pictured and circled. Service Care, 17in Alloy Wheels (4) - 5 - Twin - Spoke Design 225/50 Tyres and Locking Wheel Bolts, Active Park Assist incl. 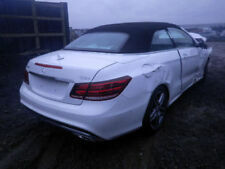 Model year: 2016 (65)., Next MOT due 01/02/2020, Full service history, Excellent bodywork, Interior - Excellent Condition, Tyre condition Excellent, Black, 1 owner. My car is good for sell, just one driver. Estate Car with 7 seats. Avant Garde specification. Cubanite Silver Paint with Anthracite black full leather seats and faux walnut trim. No accident history and no outstanding finance., Alloy wheels (good tyres), Drivers Handbook, Spare wheel, jack and tools. Genuine AMG So All The Usual Extras. -Heated Half Leather/Suede Interior. 19" ALLOYS. TWO FRONT TYRES ARE GETTING LOW SO WILL NEED CHANGING. FULL BLACK HEATED LEATHER SEATS. DRIVES NICE. THE AIR BAG LIGHT IS ON. This Rarely found top of the range vehicle will be sold with a new MOT and is in exceptional condition with only two previous owners. 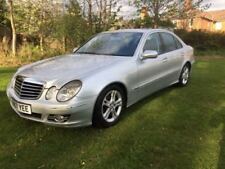 For sale: Immaculate E220 CDI AMG Sport with 7G-Tronic Plus gearbox. 2014 (64), black. Car has been owned by my father since 2016 but he is no longer able to drive due to poor health. Car will be sold with new MOT and has FSH. FOR SALE IN EXCELLENT CONDITION. 108000 MILES. Full electric leather seats with heated fronts. Front and Rear Parking sensors. V5 present. Owners Manual. Remote Boot Opening. 17" alloys. 2006 Mercedes-Benz E Class 2.1 E220 CDI Avantgarde 4dr "Full-Service History"
JUST COVERED 91,000 GENUINE MILES WITH COMPLETE SERVICE HISTORY. LAST SERVICE CARRIED OUT A FEW HUNDRED MILES AGO IN MARCH 2019. THE VEHICLE IS IN IMMACULATE CONDITION FOR ITS AGE. THIS VEHICLE NEEDS TO BE SEEN AND DRIVEN TO REALLY APPRECIATE IT, AND CREDIT GOES TO ITS PREVIOUS OWNERS WHO HAVE MAINTAINED THIS VEHICLE TO A VERY HIGH STANDARD. 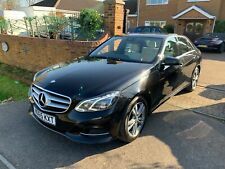 This is my 2013 Mercedes Benz e220, it's in great condition and just been valeted, just had a service and MOT done. It has full service history and has had 4 new tyres in past 6 months. The mileage will creep up due to light usage until sale. Any questions send me a message, thanks. £8000 massage for any more details. PCO badge till Oct 2019. Normal mode sport mode 170bhp. Only 99,000 genuine miles with MOT history and NO ADVISORY notes at all. MOT’d till Sept 2019. 6 speed manual transmission. Power windows, mirrors and seats. FINANCE CAN BE ARRANGED. 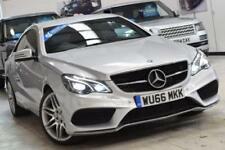 CAR IS FULLY HPI CLEAR AND WHEN WE BOUGHT IT WE PAID OUTRIGHT SO NO OUTSTANDING FINANCE. New mot and just serviced. Fully electric seats. NO RESERVE! New listing2003 MERCEDES BENZ E220 AVANTGARDE, STUNNING TEALLITE BLUE PEARL, FULL HISTORY! Ordered in teallite blue pearl code 353u the paintwork has been professionally machine polished, zymol waxed and g3 technic ceramic coated the car is rust free and the paint is original and a stunning colour for the s211 estate.